Words by Kevin Doocey on March 13, 2011 . Pull the other one one might say. However, news is news. According for the Sunday Mirror; Newcastle United could be owned by a wealthy Indian in the summer, should they confirm Premier League safety. A £260m figure is being touted as the price tag Anil Ambani is willing to offer Mike, but the real question is: would the smart-minded Englishman accept that bundle of notes? Again, take this with a rather large pinch of salt because I expect it to be utter tosh, per usual. With that said, the article in which covers it isn’t one paragraph. It’s quite a lengthy one which you don’t often see associated with dramatic headlines in football. Anil Ambani has been linked with buying Newcastle United before if memory serves me correctly, and apparently he pulled out of a deal two seasons ago when NUFC were a Premier League team; due to the resignation of Kevin Keegan as manager. Who is to know though, with these reports originating in the Indian media in the last few hours. Could Newcastle United really be up for sale this summer? Would we like to see Indian owner? I know I wouldn’t and as stupid as Ashley has been; he has kept the finances in order alongside helping establish a very very promising youth team an academy. We can only wait and see, but per usual the rumours of an imminent sale will circle around St.James’ Park. 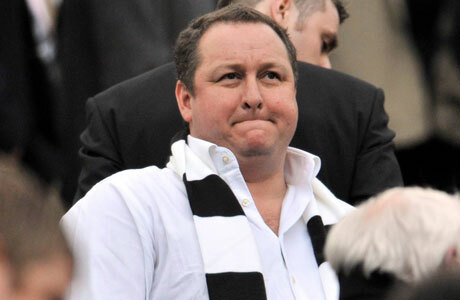 I hope it is sold as Ashley is a mug and has done nothing but sell our top players since he came to the club, when he took charge the club was generating a good income and was one of the top 15 clubs in Europe in regards to revenue. Because of reckless desssions and selling oour top tavel he has reduced the clubs revenues by a third. Again this summer seems to be more of the same with Enrquie on his way to line his pockets. I would not mind an Indian owner providing he stops the root and starts to improve our current condition, Ashleyitist.